LPAR2RRD tool offers end-to-end views of your server environment and can save you significant money in operation monitoring by predicting utilization bottlenecks in your virtualized environment. You can also generate policy-based alerts, capacity reports and load forecasts. This program is a free software. You can redistribute it and/or modify it under the terms of the GNU General Public License. 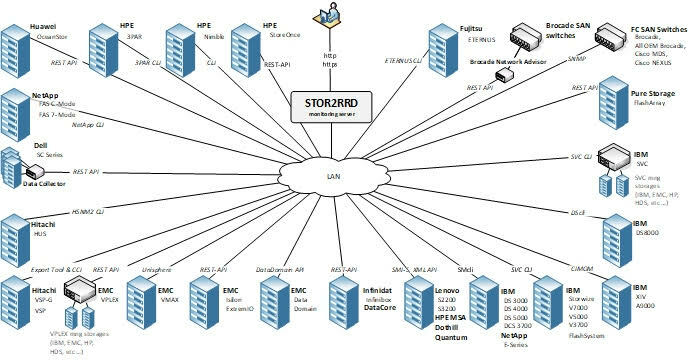 STOR2RRD tool offers end-to-end views of your storage environment including LAN and SAN. It can save you significant money in operation monitoring and by predicting utilization bottlenecks in your virtualized environment. You can also generate policy-based alerts, view overall health status of your systems, provide capacity reports and forecasting data. Real-time storage, SAN and LAN performance visibility in multi-vendor environment. Historical reporting (graph, CSV, PDF, XLS). 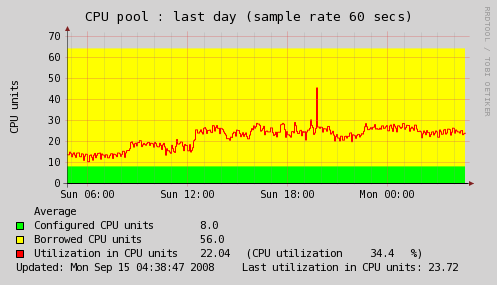 Alerting based on performance thresholds. Event monitoring. This program is free software. You can redistribute it and/or modify it under the terms of the GNU General Public License.